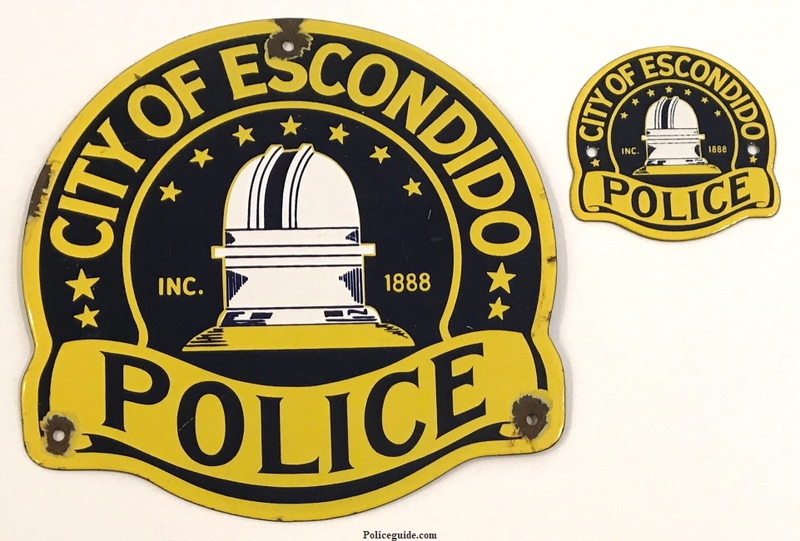 Escondido Police Porcelain sign. 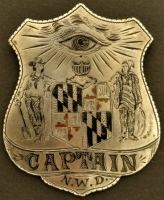 4" wide and 4" tall. 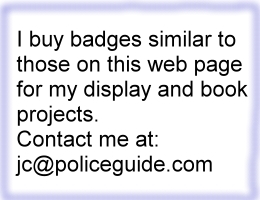 This image shows both known sizes. 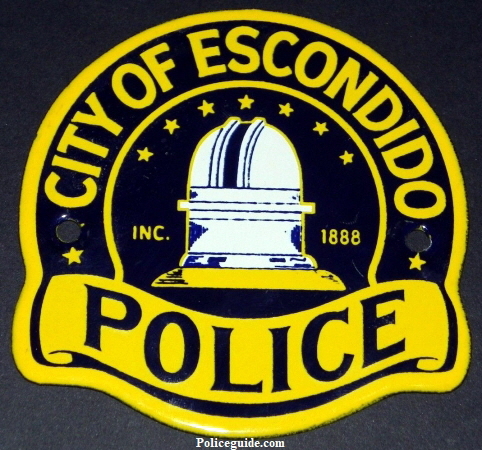 The larger sign is approximately 10” x 10”. State of Colorado Dept. 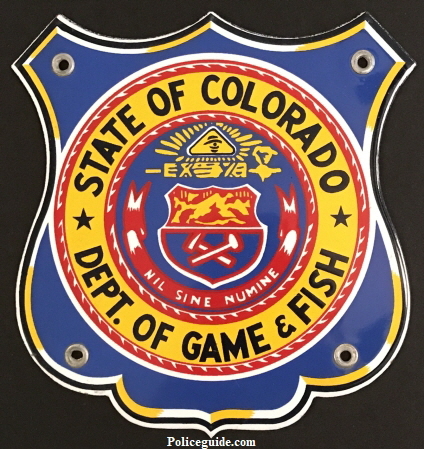 of Game & Fish Porcelain sign. 7" tall. 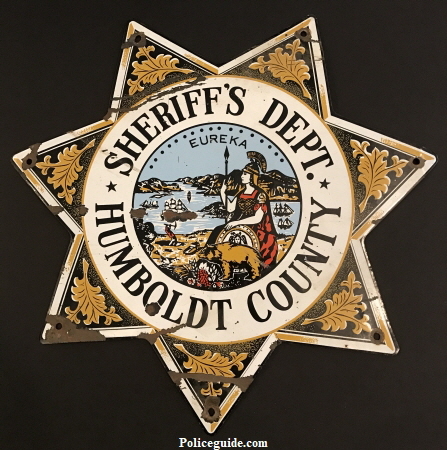 Humboldt County Sheriff’s Dept. 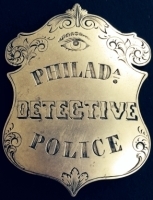 Porcelain sign. 14" tall. 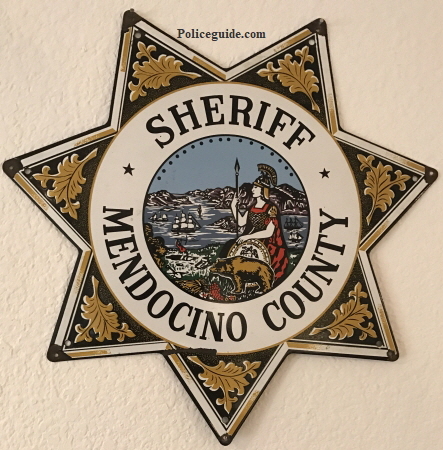 Mendocino Sheriff Porcelain sign. 14" tall. 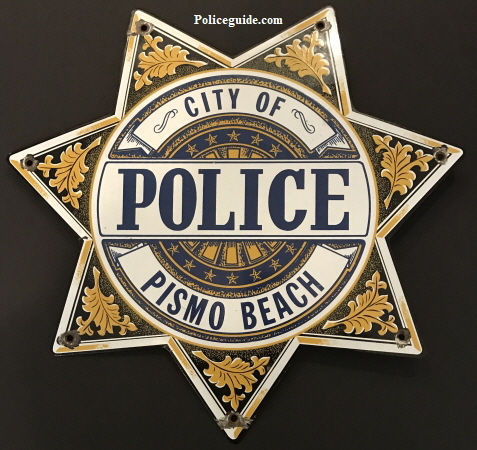 City of Pismo Beach Police Porcelain sign. 16" tall. 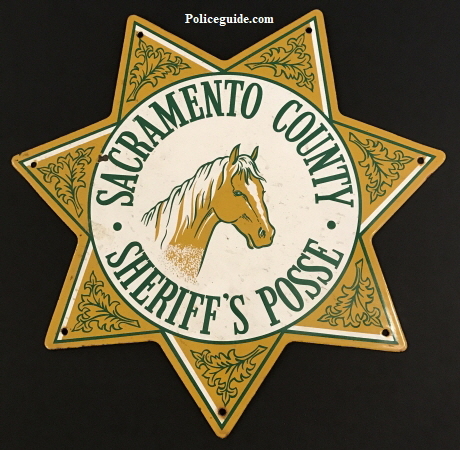 Sacramento County Sheriff’s Posse Porcelain sign. 15" tall. 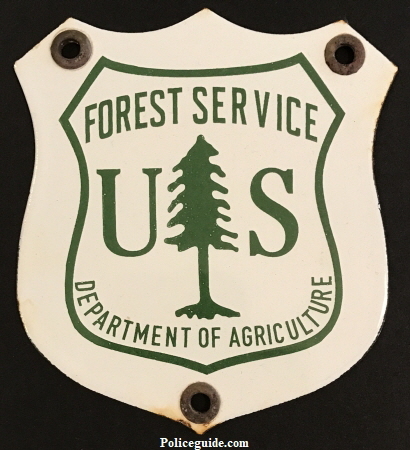 Forest Service Department of Agriculture Porcelain sign. 5" tall. 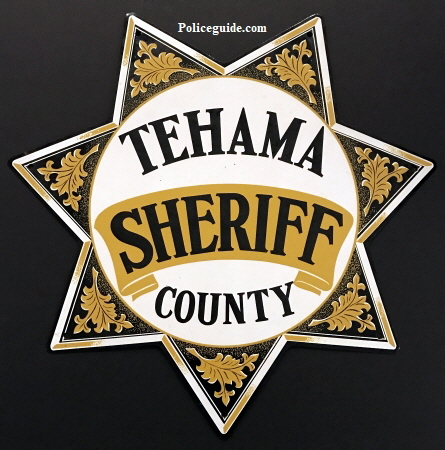 Tehama County Sheriff Porcelain sign, 15 1/4" tall.